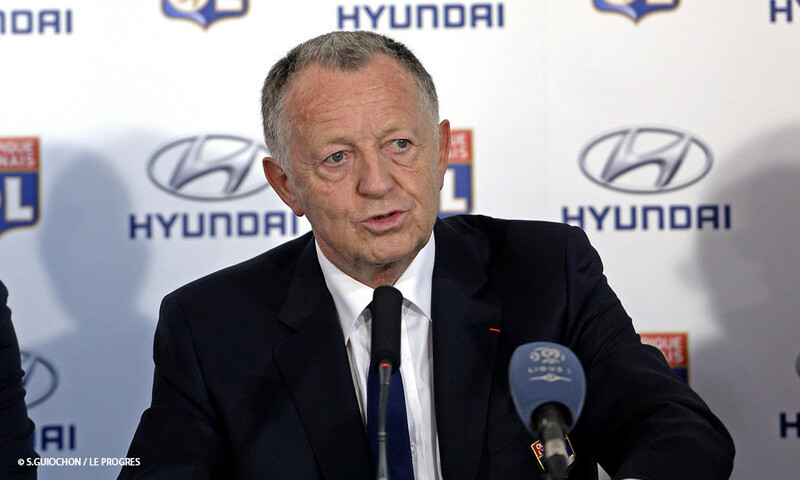 The Olympique Lyonnais President took advantage of Wednesday's profit results presentation to bring up some news about Parc OL and about the sporting sector. To have a rational understanding of the accounts, you obviously need to have a vision outside of player sales, which gives us an increase in the order of 30 to 35% of our turnover. We didn't want to transfer any players this winter. The true ledger will therefore be made on 30 June 2017, after we will have undoubtedly sold one or several players. With the new stadium, we've started on a new enterprise and therefore a new economy. It was necessary to learn a new profession in order to manage Parc OL. We did a lot of hiring and today the club has 350 full-time employees. Even if the last few matches haven't gone that well, we're satisfied that the club is in good financial health. On average, we're placed behind PSG and we continue to make progress. We now have to renegotiate our debt of 280 million euros because the expenses are somewhat punishing. The board has this week made the decision to finalise a refinancing and it should be in place by the end of June. The good news is that the recurrence of all the events related to Parc OL (men and women's sport, events and concerts) will quickly help absorb our costs. This innovative business model frees us from needing to be in the Champions League every season. It needs to be pointed out that the naming rights pertain only to the stadium, but that the name Parc OL will be relinquished. We've just started building a 150-room hotel, and from now till the end of June, we will cede the naming rights for the offices, the leisure centre and the medical centre. Before working out who the future naming rights holder would be, it was necessary to wait for several important events: including Euro 2016 and the arrival of our Chinese business partner, IDG, which now values the club at 780 million euros. We'll now enter the final discussions with three French companies as well as some Chinese ones. By 30 June at the latest, we'll be able to announce the name of the stadium partner. Today, we're under no obligations. But as we have a squad valued at 170 million euros, at some point it's going to be necessary to cash in on it. So, in the same way I did for Karim Benzema or Samuel Umtiti, if a player really wants to leave and offer is acceptable, we won't oppose it. On the other hand, if a player like Alex Lacazette were to leave us, it would be necessary to invest in a replacement or find a player from our youth ranks. In this return leg, we obviously need to stay focused because the result of the first leg was rather flattering. We hope to qualify and to then have a favourable draw because there are some good European teams still in the race. I'm sure we can go far in this competition. We're going to play in this season's Europa League in a committed manner in order to remain in it for as long as possible and also to earn maximal points for the European index of French clubs. We need to try to catch Italy who are just ahead of us. When we watched Monaco's match yesterday against Manchester City, we have cause to be proud of who's representing French football. I respect the Dijon football club and its president. I also regret what I said about Florent Balmont, my remark was not appropriate.